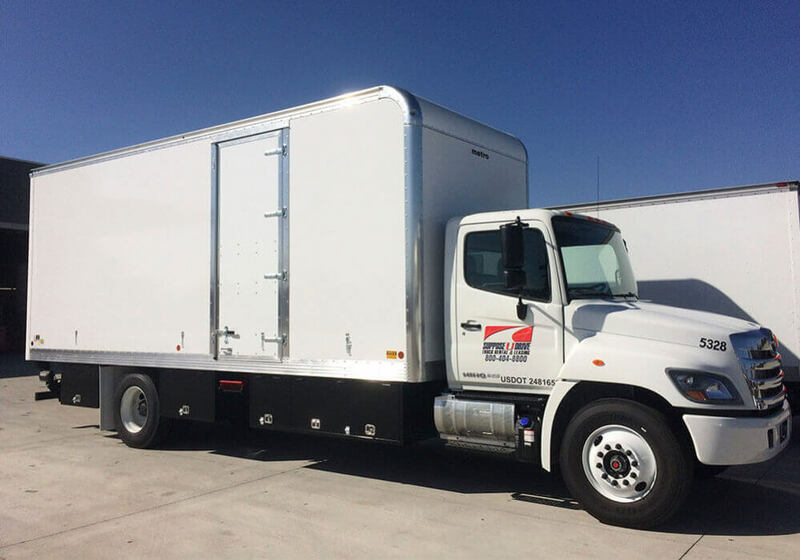 Do you need a box truck for your next project? Suppose U Drive’s versatile fleet has exactly what you need. 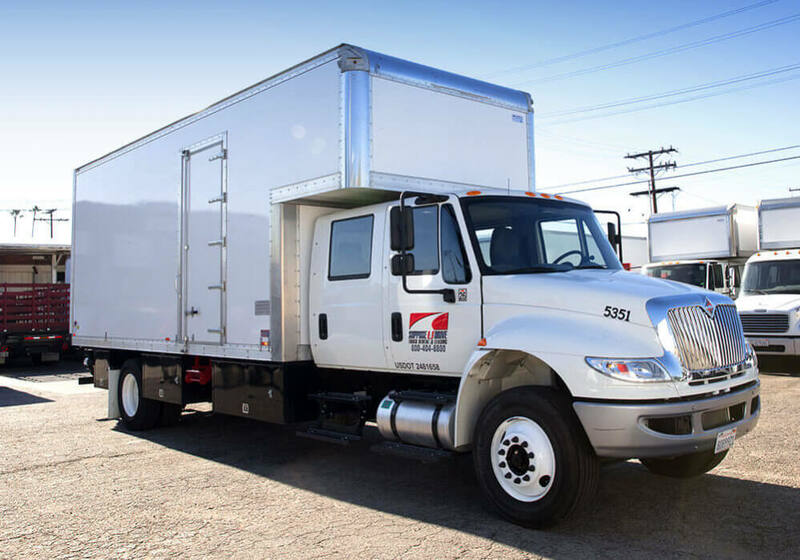 With lengths ranging from 16′ to 24′ and pre-installed, pallet-sized Palfinger and Maxon liftgates, we’re confident that our box trucks will help you get any project finished on time and on budget. 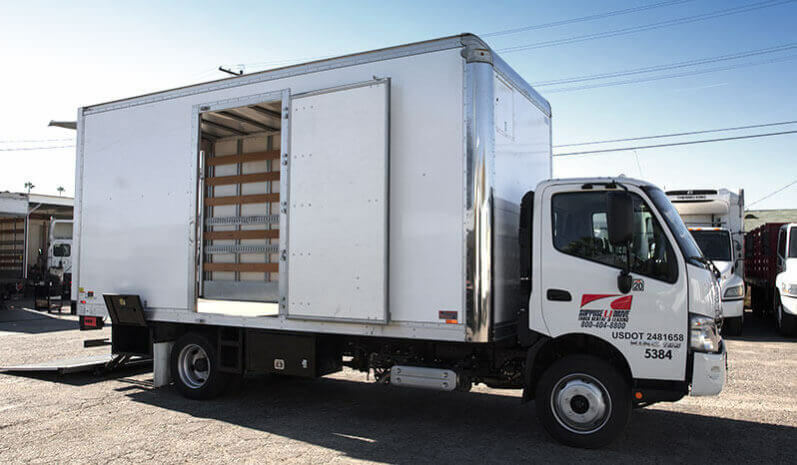 Other features of our box trucks include full 6″ Interior Apitong Wood Slats , 1 1/8 inch Apitong hardwood floors, 12″ scuff plates around the base, and plywood bulkhead up front. All box trucks come E-Track equipped. Plus, with complete LED lighting inside of the box, you and your work crew will have no trouble seeing your cargo space any time of day, whether you’re loading, unloading, or just carrying out a quick check. The FRP or Fiberglass Reinforced Plywood bodies we build are also extremely durable to withstand the toughest of conditions. Whether you’re after a short-term solution or a long-term lease to add to your fleet, our rent and lease options can be tailored to fit your business’ exact needs. 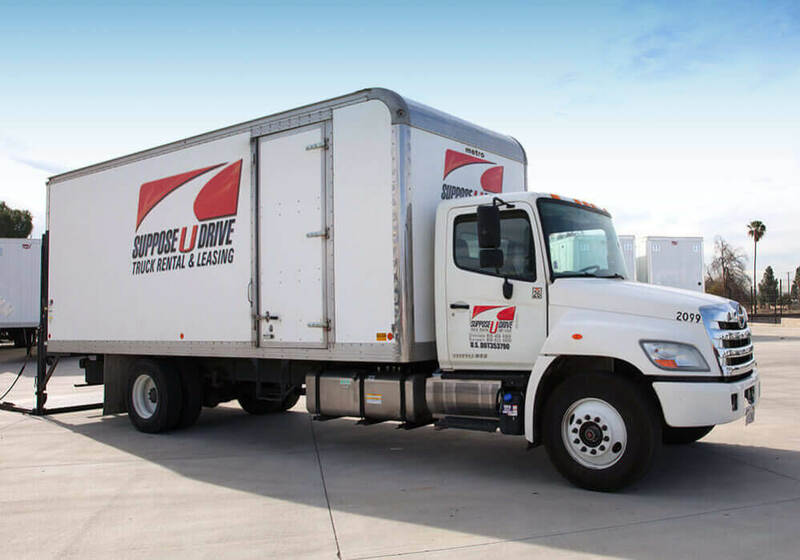 When you step onto our lot, you’ll be greeted by friendly and knowledgeable staff who can help you find just the right box truck for your project. Once you have found one that will get the job done, our fast and streamlined checkout process will get you on the road quickly so that your business can get back to work. 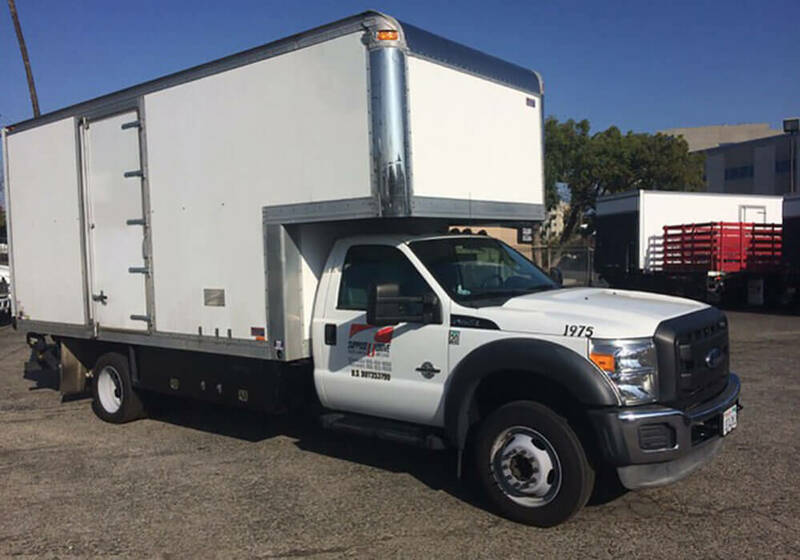 Chances are, if you’re in need of a box truck, we’ll have one that is perfectly suited to your needs. 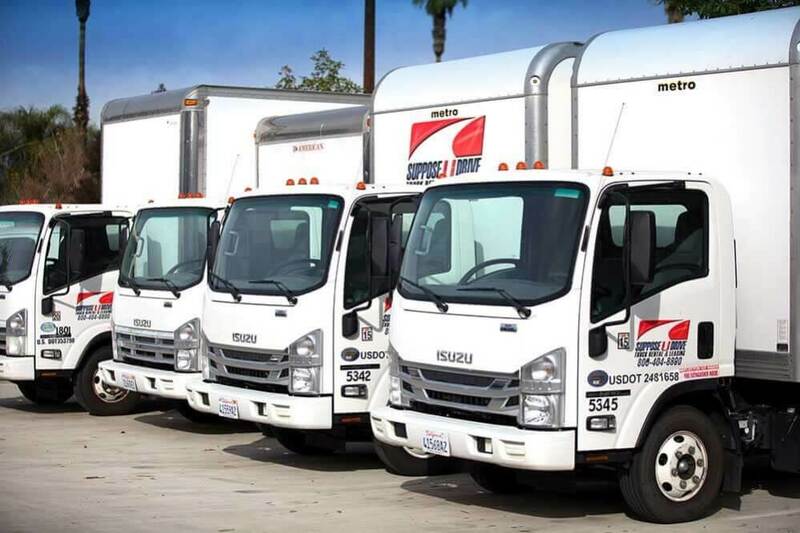 And, you can always trust the quality and reliability of every truck on our lot. In-between jobs, our trucks are extensively maintained and put through multiple quality checks to ensure they’ll drive as though they’re brand new every time you come to pick one up. 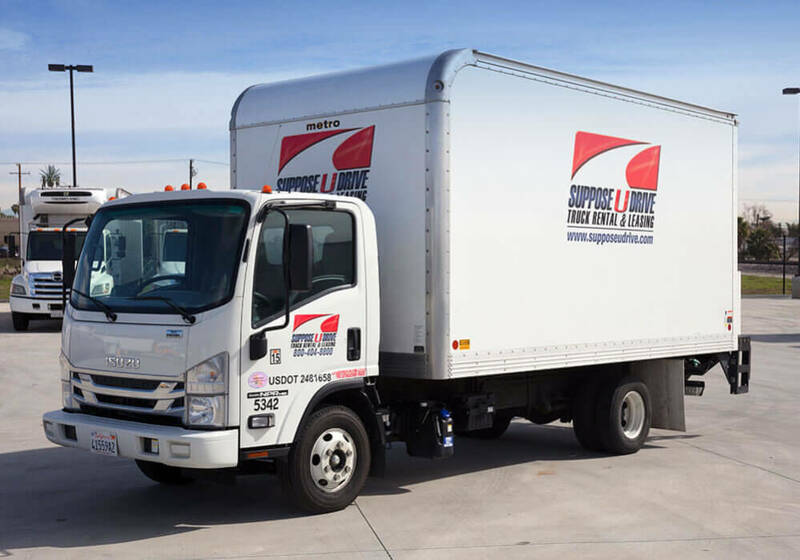 If you do happen to run into problems with your box truck, our crew is available 24/7 for roadside service. That’s what makes Suppose U Drive one of the top-rated rental companies in the area. As a local business, we don’t cut corners. Customer satisfaction, and safety, always come first.